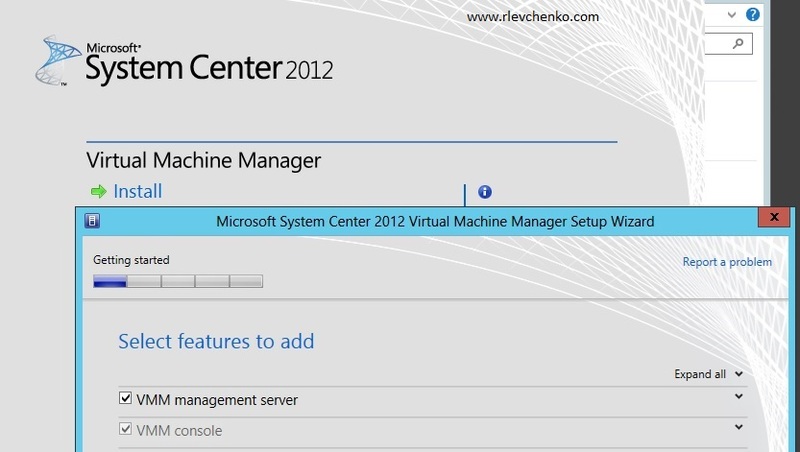 VMM 2012 became the most powerful in the System Center product line. In my own, I use VMM to organize my private cloud, dynamic optimization cluster nodes and power optimization.With AppC (Application Controller) VMM gives you and your clients everything! 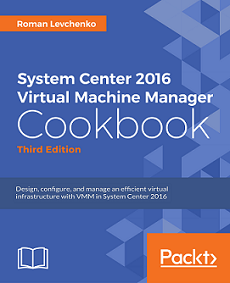 Does anyone use bare-metal deployment with VMM? Believe me, it’s the most useful feature. Just imagine,you have about 10 servers from box and your task – create a HA cluster. How are you going to complete your task? Write in the comments please! Thanks. In this article I will try to describe all the possible ways to upgrade to VMM 2012 SP1.One of the most notable changes appeared in the requirements for VMM SP1. 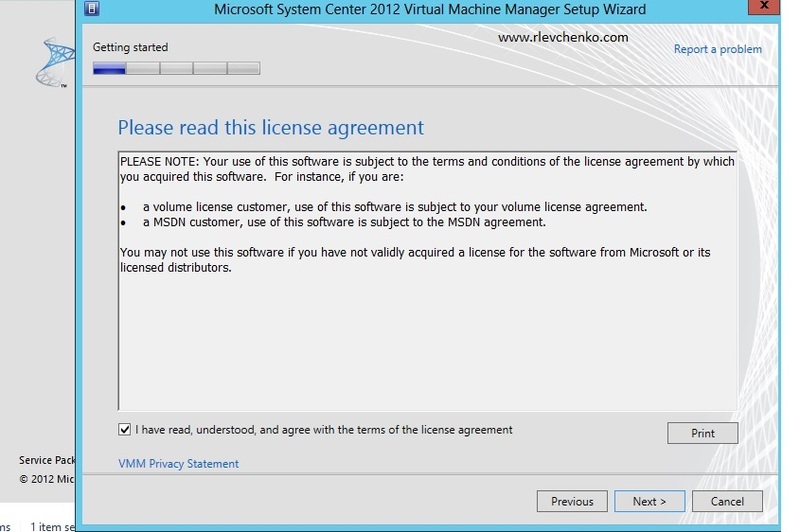 VMM Management Server SP1 only supports Server 2012! So, if you want to upgrade from VMM 2012, that is installed on Server 2008 R2 SP1, you have to do in-place migration to the Server 2012, and then update the existing VMM configuration database. Integration with third-party SANs = Creating LUNs and etc from VMM it’s great feature. Microsoft has expanded list of supported SANs for management. 1) Evaluation copy of VMM has expired. 2) You have Hyper-V hosts based on Server 2012. 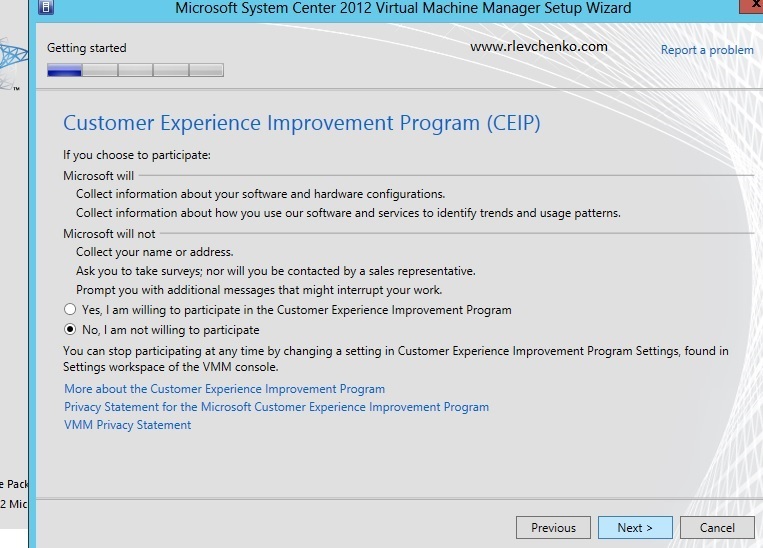 Now VMM SP1 supports Server 2012. In my test environment I have VMM 2012 installed on Server 2008 R2 SP1 and dedicated SQL Server 2008 R2 SP1 with existing VMM configuration database.VMM is up to date. There are two options to install ADK: install ADK to local computer or downloading ADK to your folder and installing it on other server. Second option is useful when your server doesn’t have internet access. To resolve this go to Fabric – highlight your servers – on the tab choose Home- Update Agents and choose necessary account to do it. Our VMM is upgraded and agents updated. Enjoy new functionality :). Thanks for your comments!